Sick of being a straighty-180 when it comes to your hair? Fret no more because market leader in curling tools, BaBylissPRO, has a Christmas Miracurl with your name on it. After taking the world by storm in 2013, BaBylissPRO is making waves – literally – with the launch of the next generation model - the Miracurl 3. The 3-in-1 Miracurl has elevated the ground breaking auto-curl technology to create three different curl sizes at the touch of a button. 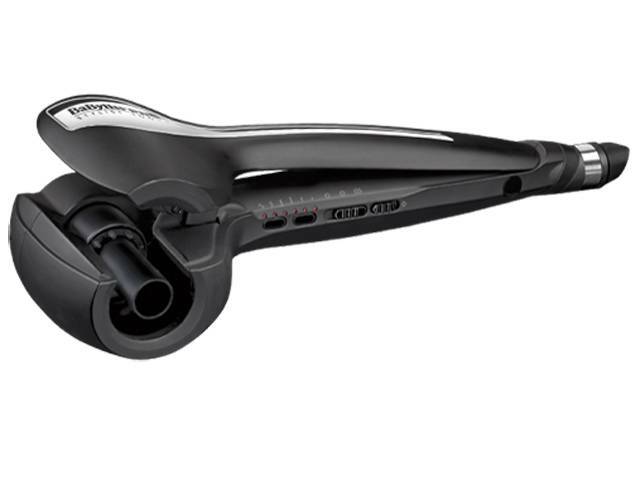 Upon choice, the advanced curl management system of the BaBylissPRO Miracurl 3 automatically adjusts the central barrel to regulate the heat and time needed to create each of the three levels of curl. The ceramic curling chamber carefully controls hair tension for smooth curling action, and new features include the ability to adjust curl direction to left, right, or alternate. A salon length swivel cord means that professional styling is literally as easy as one, two, three. Multiple heat settings from 180 to 230 degrees allows the user to create styles from tight defined curls to soft natural waves, or loose relaxed waves and curls. With the ability to mix and match random organic styles, the BaBylissPRO Miracurl 3 offers endless styling potential in-salon, and is the perfect retail addition ahead of Christmas. BaBylissPRO would love to celebrate the launch of the MiraCurl3 by giving you one less thing to worry about, your hairstyle! Behold, the ultimate guide to wedding hair that'll leave you ready to celebrate, no matter the dress code! White tie is traditionally the most formal of all the dress codes, which calls for the ultimate formal outfit and a hairstyle to compliment. For a white tie or super-formal wedding, consider defined curls sweep to one shoulder, as this will leave room for you to show off those glamorous earrings or a sparkly hair accessory. If your invitation denotes a black-tie dress code, don't panic. While you will be required to get very dressed up for this formal occasion, there's an easy way to appear red-carpet ready with your hair instantly! Looser waves work perfectly for a black tie wedding, and give an understated elegance to your look, as long as they don't veer too far into boho territory. Cocktail attire isn't overly formal and can, therefore, still be a little fun. It is a step above smart casual, think along the lines of race wear, and this includes your hair. To accentuate a fun and dramatic dress, bold, thick old Hollywood style waves are always a winner. Old holly wood style waves not only look elegant, but they are also a quick and easy way to ensure your outfit fits the dress code. Dressy casual often referred to, as 'casual chic' is a dress code typically reserved for beach or daytime weddings. Dressy casual is the perfect opportunity to wear that cute weekend look you love and compliment it with a hairstyle to boot. We suggest sticking to a simple updo or wearing your hair out with face-framing curls. Want to know the best part? Even if you are attending a daytime or beachside wedding, the wind and salt in the air will work in your favour and enhance your curls! You can achieve all of these looks easily with MiraCurl3. The new BaBylissPro MiraCurl 3 has multiple heat settings from 180 to 230 degrees and auto curl technology which allows for you to create styles from defined curls to soft natural waves, or loose, relaxed waves and curls.